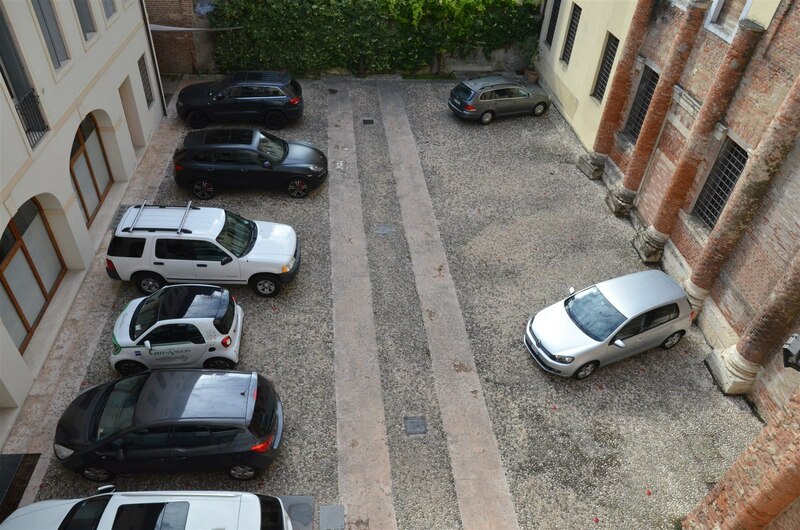 Dimore del Conte have a private parking on site, 15 euro per day. Guests can directly reach our hotel to park without problems entering Limited Traffic Zone. On arrival we’ll provide your required permissions to access the pedestrian area. 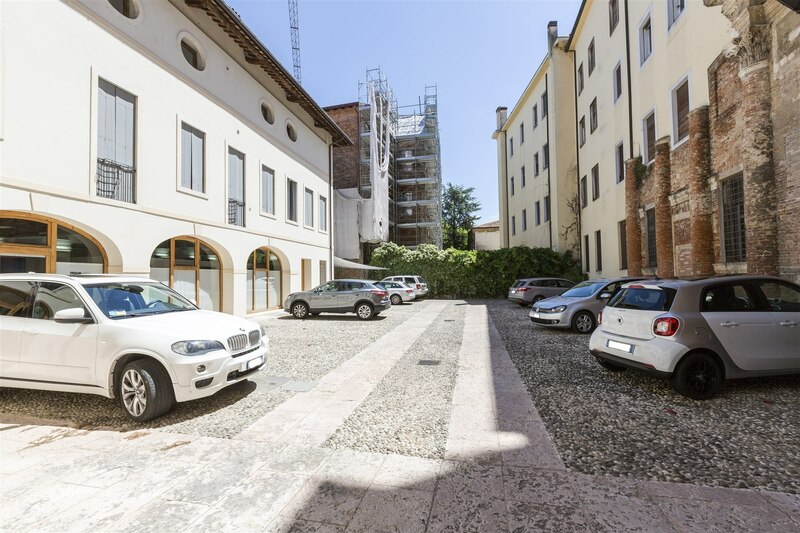 Bright and spacious apartments perfect for managers and teams who are looking for an elegant dwelling in Vicenza, where to stay for prolonged periods . 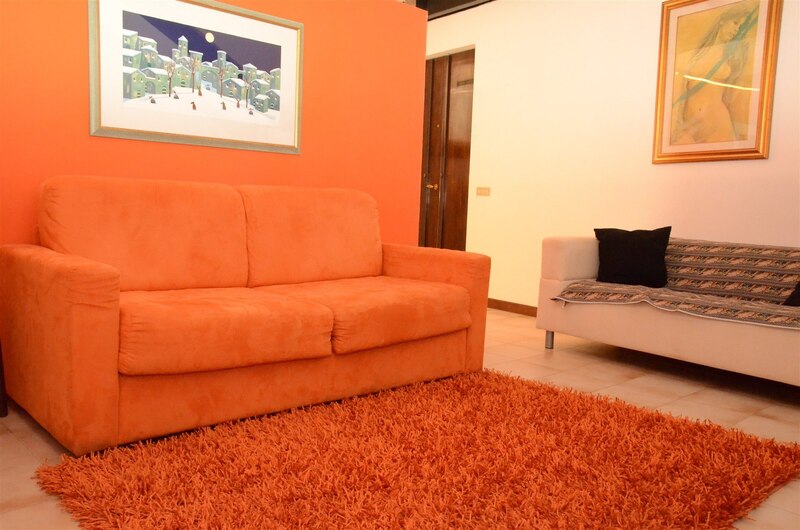 A large area of 110 square meters, with two bedrooms and a large living-room area offering up to 6 comfortable beds. All spaces have been designed to offer comfort and good living. 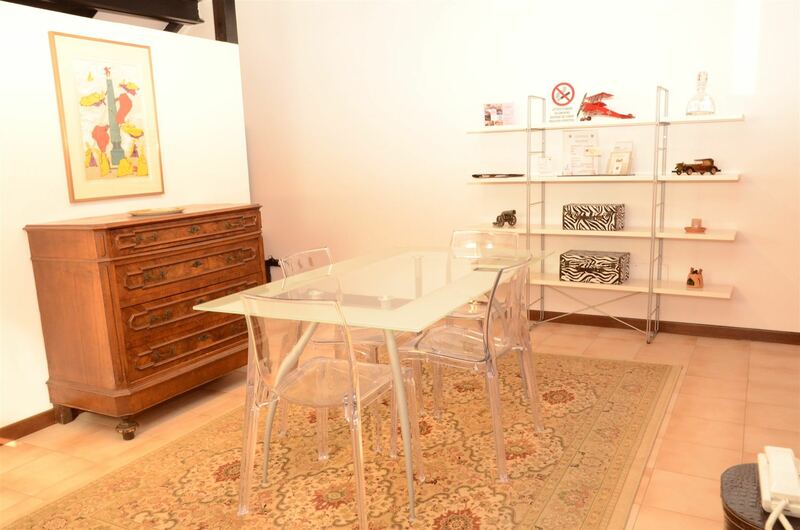 From the cosy living room with sitting area and large, bright dining area, to the separate kitchen equipped with crockery. 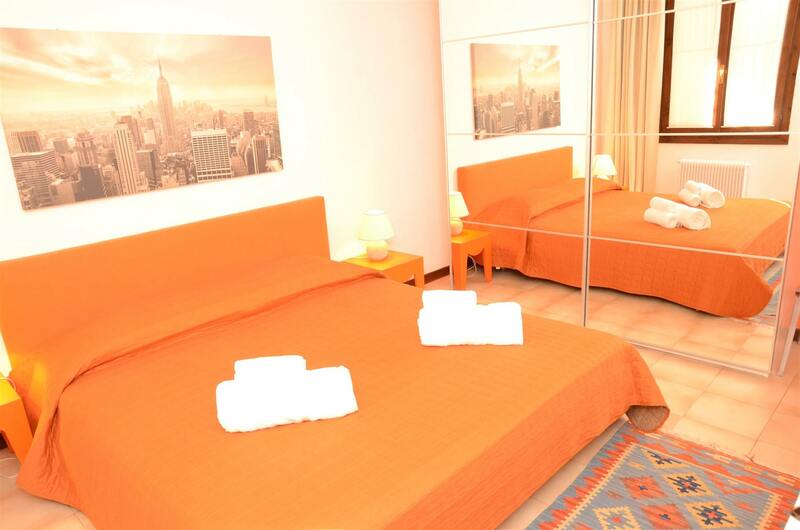 From the lovely sleeping area composed of double room and twin room, with the practical and functional bathroom. An Ideal choice for travellers looking for a business stay, which offers the independence of apartments with all the facilities and service of a modern hotel. 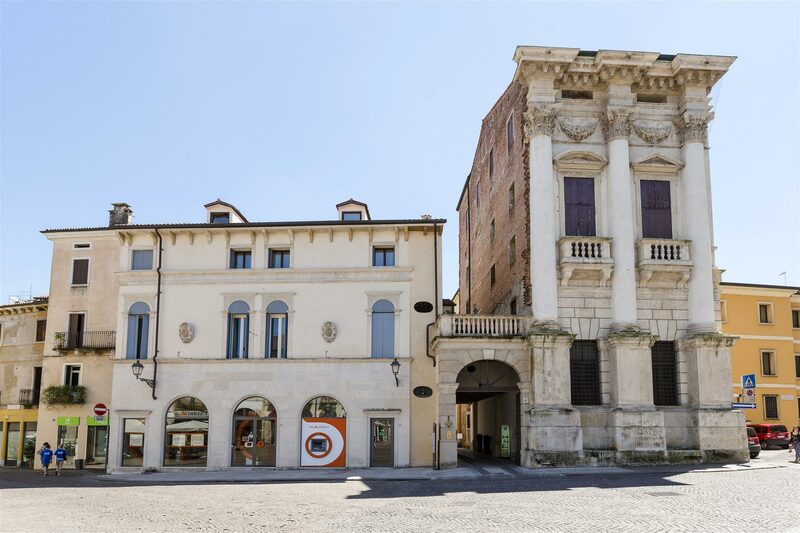 The apartments are clearly an ideal alternative for those seeking an excellent residence in Vicenza, with the convenience of living in the centre, in addition to being convenient to all the towns amenities. Wifi everywhere with FIBER-OPTIC connection! 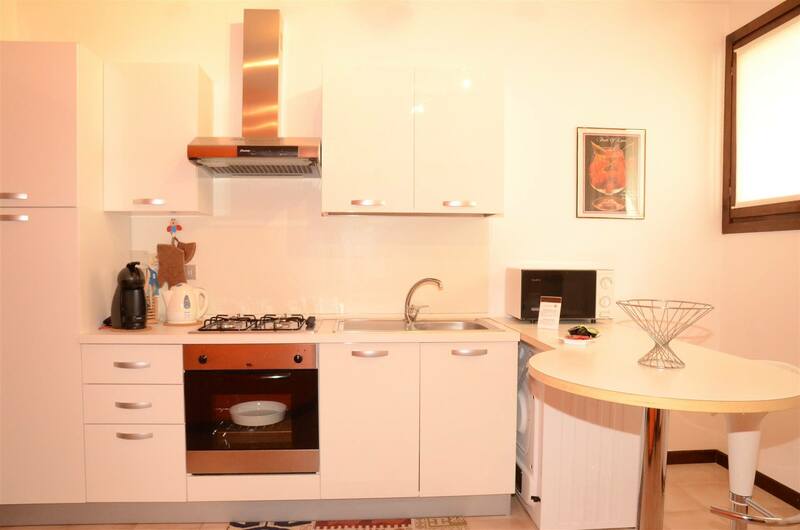 (*) Daily cleaning are included in the price. 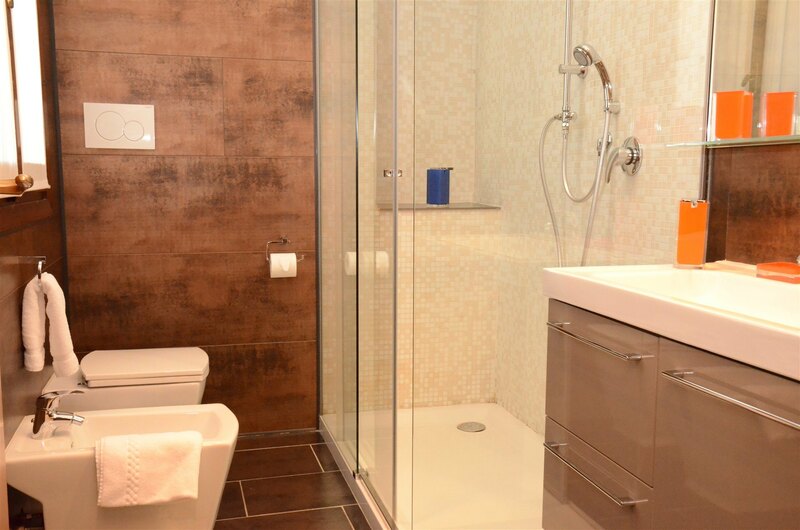 However, for longer than two nights stays, there is an additional cost of 45 euros, for final cleaning. 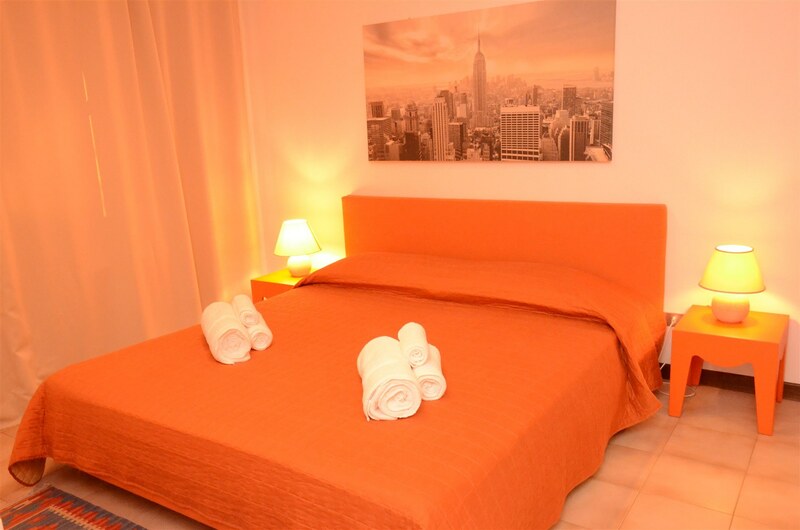 For longer than two nights stays there is a cost of 45 euros for final cleaning. Guests can directly reach our hotel to park without problems entering Limited Traffic Zone. On arrival we’ll provide your required permissions to access the pedestrian area. Rates change depending on the period of stay. For the rates check first the availability. Rates do not include the tourist tax, € 2 per night per person. Credit card is request to reservation confirm. From 15:00 – to 20:00 hours on arrival day. It will be made by our staff. 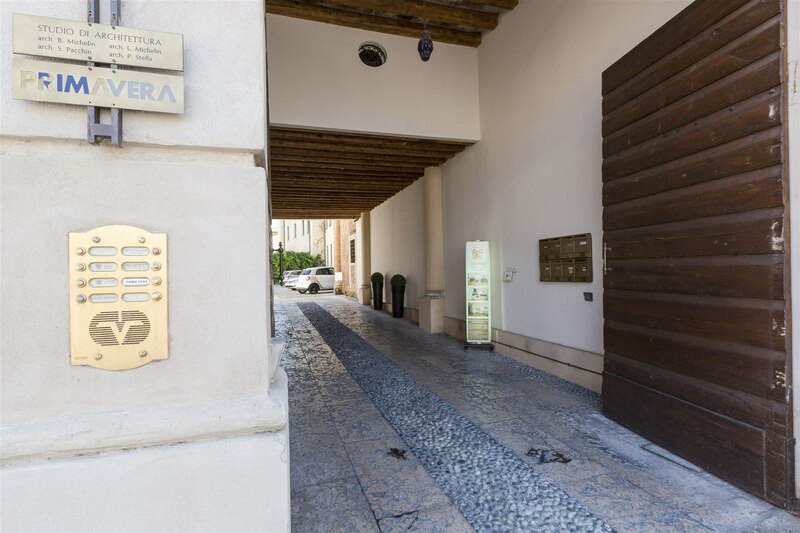 To avoid any waiting times we recomanded guests to contact telephone number: +39 334 9874408 or +39 0444 750 565 at least 1 hour before arrival. Late check-in expected an extra charge. Check-Out within 10:00 hours departure day. Payment of the stay is due upon arrival guest. At the check-in time may be required a credit card to charge any extra services used during your stay. We accept credits cards: Visa, Mastercard, American Express, Diners Club, Maestro, Cirrus, Postapay, or cash. We do not accept bank checks. At arrival we reserve to check the credit card by pre-authorization or by a small prepayment of 1.00 EUR, which will be recharged at paying time. Up to 7 days before arrival, the reservation free of charge can be canceled. The customer pays total amount if he cancels within 7 days before arrival, or in case of No Show. Pets are admitted only on management approval. It could be required an extra charge. 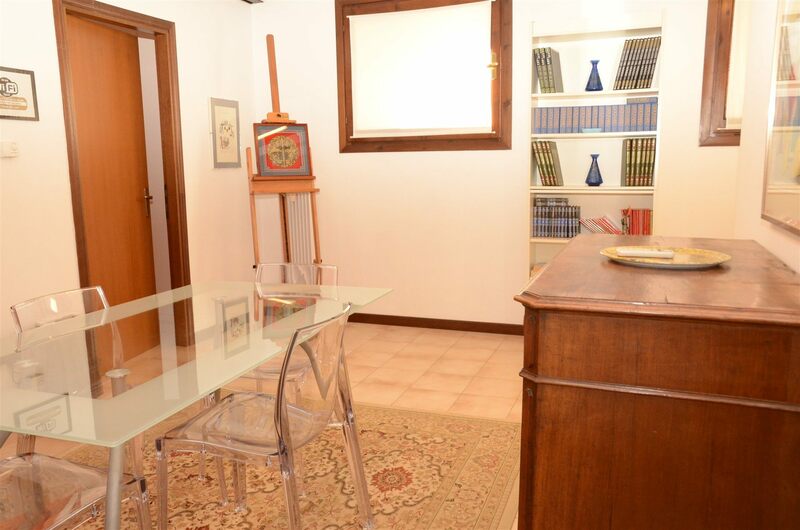 Other youngs/adults pay 20 euros per night. Any type of extra bed or crib upon request needs to be confirmed by our staff. Additional fees are not included automatically in the total cost and will have to be paid extra during the stay. We are happy to accommodate your pet, but every animal is admitted only on acceptance by the management. For every pet a charge of EUR 15/day is required. A kit is provided for Pet to use during the stay. For hygienics reasons and for respect to other people, guests are kindly requested not to use the kitchen’s dishes for their Pet. 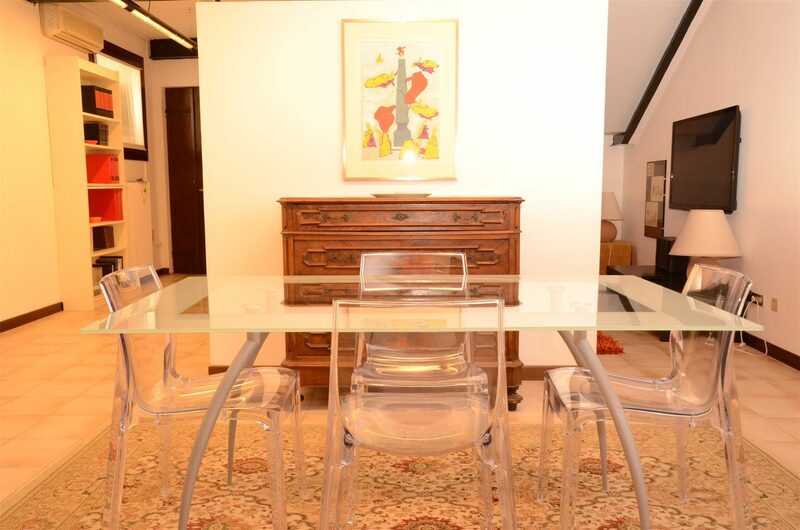 During the stay any cleaning activity, that our staff will find necessary at home or at furniture, due to Pet, will be directly debited on the invoice, according to the time taken, at the rate of EUR 15.00 / hour. For any kind of damages, during the stay, it will be asked customer to refund, and it will be charge on the invoice. Kindly request in advance the estimated arrival time at the hotel, to avoid any waiting times. Please contact telephone number: +39 334 9874408 or +39 0444 750 565 at least 1 hour before arrival. Taxi stop at 50 meters in front of the main entrance. Bus stop at 30 meters in front of the main entrance. The train station is 400 meters, 5 minutes walk. 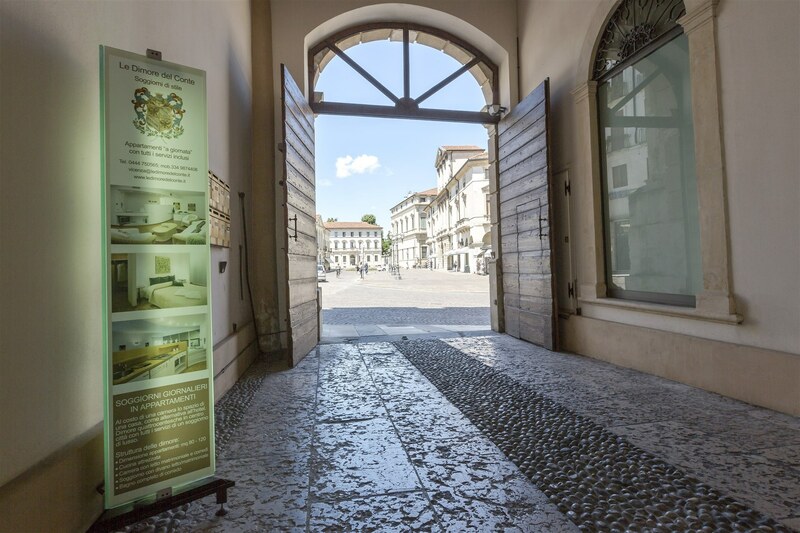 Airport Marco Polo Venice Tessera is 79 km, 55 minutes by car. 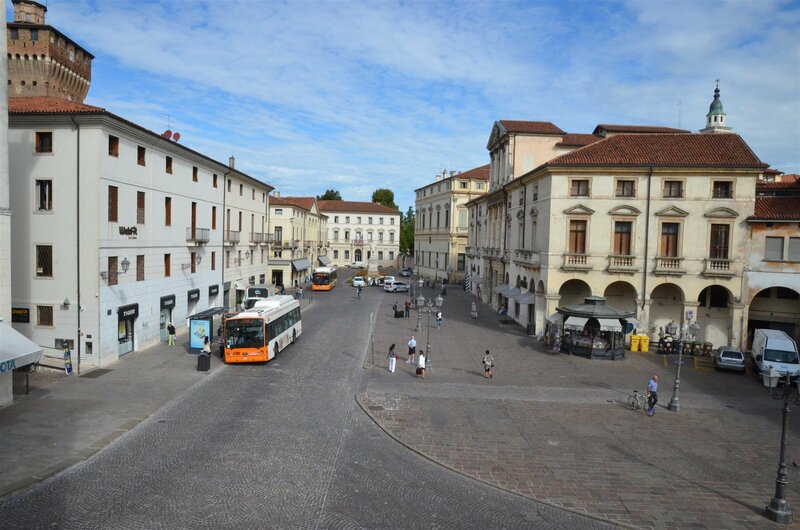 Valerio Catullo airport in Verona Villafranca is 65 km, 45 minutes by car. Shuttle service to / from the airports, Private pay.